Unit 1904-5, Bonham Strand Trade Centre, 135 Bonham Strand, Sheung Wan, Hong Kong. 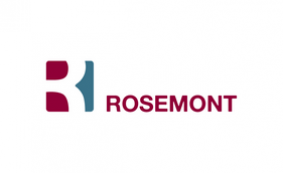 Rosemont International companies provide since 1981 an all-round multi-disciplinary service to individuals and their families as well as bespoke corporate and trust administration, and can assist in structuring and administering a client's financial world in the best possible fashion. With partners in strategic locations and thanks to our professionally qualified, experienced and multi lingual staff, we are able to offer an integrated service covering the important areas of interest to clients, to their family and to their business. With access to accountants, solicitors, trust and tax advisors we can help guide clients through the intricacies of the modern tax and estate planning requirements in the jurisdictions where they reside, operate and hold assets. Our Senior Managers are also personally actively involved in the operation of businesses in a wide range of areas and locations, so have first-hand experience of operational, regulatory and financial issues faced by entrepreneurs in practice. They act creatively and pro-actively in the interests of the client.